Please note that this product has reached end of life and in2digi no longer supplies this item. 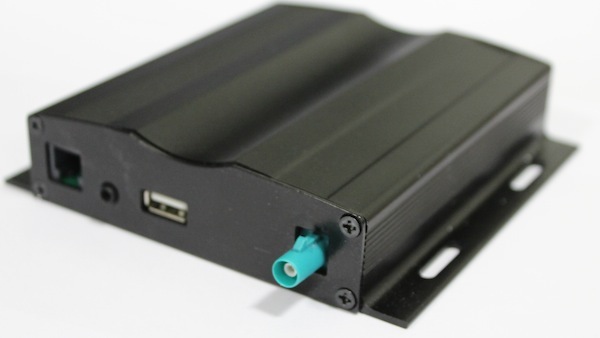 We now recommend the D-MB-2 for new installs on NTG2.5/NTG3/NTG4/NTG4-W212/NTG4.5 vehicles. The D-MB-1 is a DAB and DAB+ system for Mercedes Benz vehicles. It supports the NTG1, NTG2 platforms where it emulates the CD changer, so the CD-changer must be bypassed or disconnected. For NTG2.5 cars and later it behaves like the factory option tuner would except it supports DAB+ as-well. The D-MB-1 should be used for NTG1 and NTG2 vehicles, emulating the CD Changer. Optional: 1x DAB/DAB+ amplified windscreen antenna. CL Class, W216, before mid 2010 facelift. S Class, W221, before mid 2010 facelift. It is not compatible with the NTG1/NTG2 Audio-20 and Audio-50 as they are not capable of displaying CD-Text. It is not compatible with NTG2.5/NTG4/NTG4-W212 Audio-20 single-disk as they have no fibre optic connection. It is not compatible with the NTG4 Audio-20 CD changer version as the head unit does not support DAB.